In a previous post, we talked about the growing use of learning video. We also highlighted a variety of ways in which learning videos can be used. In most cases, the video is integrated into an eLearning course. You track progress on the course but not on the video. Tracking learning videos is something different, however. What if the video IS the course? In some cases, however, (in fact probably a growing number of cases) the video itself is the training we wish to track. Why? It is more affordable – some would say even more cost-effective – to produce the video than before. And it’s an easy entry into the realm of microlearning. Plus bandwidth is no longer an issue. It’s also possible the video contains everything we need to provide to the learner. However, there is no easy way to have video directly send the code for recording progress or completions. (Not sure there is a hard way either, but that’s another story.) By itself, a video does not really have any capacity for interactivity either with the learner or with a system. So what do we do? First, know that there ARE some LMS’ out there that will track a video directly. For most of them, the way they work is to open a video viewing window and mark a completion once the viewing window is closed. Unfortunately, that means a learner could close the viewing window without watching the entire video and still get a completion. For that reason, we recommend still using a SCORM wrapping at a minimum to get the job done. In fact, leveraging your existing tools seems to be the most logical and least resistant way to accomplish it. Articulate Storyline 3, Adobe Captivate from version 7 and up, and the Presenter products from Articulate and Adobe have features for producing SCORM compliant content. 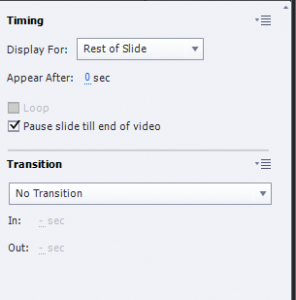 In fact, Adobe also has a new tool called Presenter Video Express made expressly (no pun intended) for this purpose. You can create a video directly in the application. If you have an existing video you can import it. It has support for both SCORM 1.2 and 2004. No xAPI support yet. The tool allows you to edit, add quiz questions inline to the video, and add scoring and tracking. Realistically, just about any tool you are likely to use will have tracking capacity using SCORM. Not all of them will support both SCORM 1.2 and SCORM 2004, but all we really need is support for version 1.2. The reason for that is most of the tracking we are going to be able to do is track completions. So, let’s see the logistics of how you would work that out. For this example, we are using Adobe Captivate. However, it is important to note that these features are pretty much available in other products as well. To get started we naturally have to first get a video added. 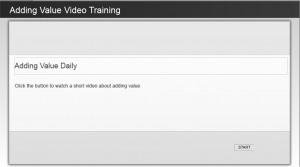 Even if the video is the entire training, it’s a good idea to have an intro or title page. On that page you can provide a synopsis of what’s on the video. You will also include a Next button that will go to the next slide. On the next slide is where you can add the video. To create a more full-screen experience, you will want to either re-size the slides to match the video or re-size the video to match the slides. The better option is to make the slide size fit the video. If you re-size the video you run the risk of distortion, especially if the pixel ratio is off. Also be sure to double-check slide length. Most applications will have a default slide duration and it is typically short. By default, when the slide’s time limit is reached it will go to the next slide regardless of what else is happening. One option to avoid this is to make sure the slide duration matches the video duration. The better choice, if it exists, is to select the option to Pause slide till end of video. The result will be that as soon as the video ends it will automatically advance to the next slide. Add a third slide where you can also add any closing remarks. Perhaps you could add a list of additional resources. Include on that slide an EXIT COURSE button. The action for that button will be to Exit, which will close the program out. If launched through the LMS then the windows will close as well. So that takes care of the set up to play the video. The next thing you must do is set it up to actually track progress. Unless you add a quiz the only thing you will actually be able to track is a completion. There is no capacity for bookmarking or anything else. In Captivate setting up tracking means going to the Quiz Preferences dialog box and selecting Enable reporting for this project. You would then select the appropriate LMS option and SCORM version. Since the only thing we can do is track a completion, you would be best served by selecting SCORM 1.2 as the version. 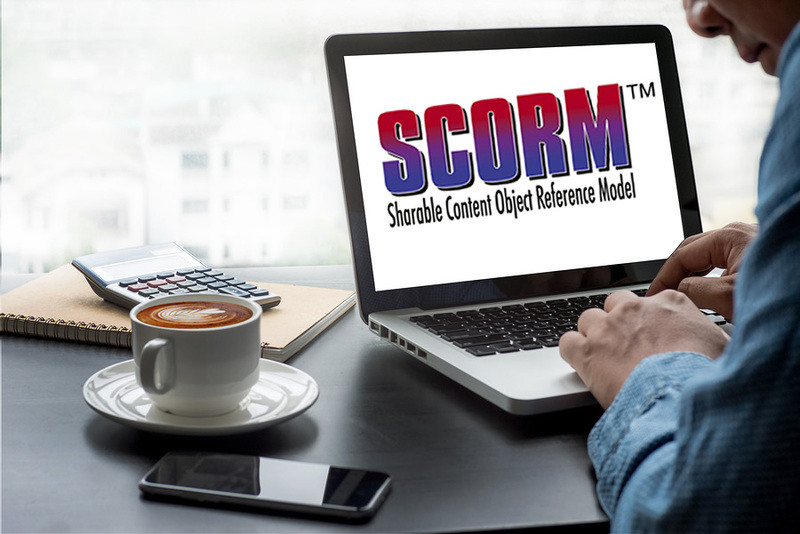 Don’t forget to set the SCORM properties. With most applications, you are always limited to a single SCO, even if you choose SCORM 2004 as the version. Finally, choose the Status Representation as Complete/Incomplete. Then set the completion criteria as 100% slide views. Because of the way we set it up, the learner can only get a completion if they watch the whole video. They can’t navigate past the video slide until the video completes since we hid the button. The only way the button appears is if the video finishes. Without going to the exit slide, they haven’t viewed 100% of the slides. Publish your course and that’s it. You have set up tracking for video training. Don’t forget that if you want it to be viewable on a mobile device you must publish as HTML5. Most programs do that by default now but double-check. We are always committed to your eLearning success. Contact us today to find out how we can help you at support@jcasolutions.com.